"Freedom is never dear at any price. It is the breath of life. What would a man not pay for a living." ~ Mahatma Gandhi. 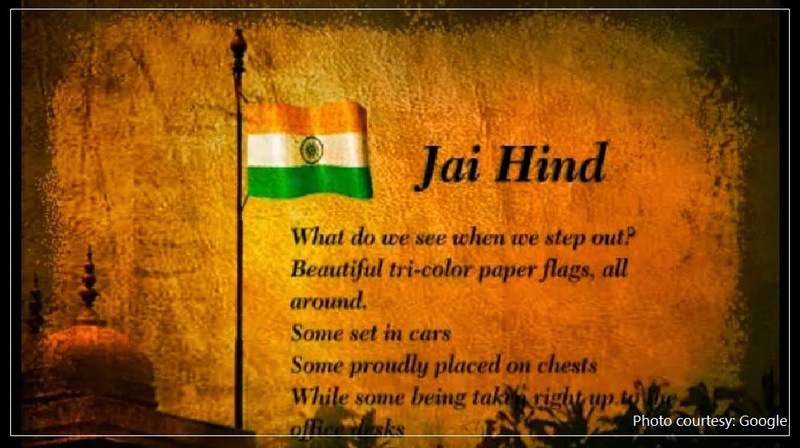 Independence Day of India is celebrated annually on 15th August to commemorate the nation's freedom and independence from the United Kingdom(Britain) on 15 August 1947 which was marked as a complete turning point for the nation. On 15 August 1947, Jawaharlal Nehru, who had become the first Prime Minister of India, raised the Indian national flag above Lahore Gate of Red Fort in its capital, Delhi. There is a meritorious story of freedom fighter behind this day in which this story can be the authentic source of muse and hope for everyone of us, because an ordinary man had done the extraordinary acts. Mahatma Gandhi was brisk and ebullient leader of Indian Nationalism in British-India Rule. He was a drowning man who clutched at a straw. He was a man of world, a man of perseverance who understood the real power of his own mind which finally led India to independence purely through non-violent resistance and civil disobedience. He believed that real power comes from within, from indomitable will. The day is avowed as a national holiday in India in which the national and local government offices, banks and most of the business organizations remain closed. On this day, the president delivers the "Address to the Nation" on the significance of Independence day. The Prime Minister unfurls the India's flag. Flag hoisting ceremonies and various cultural programs are held through participation of many schools and organizations at capital city. The people of India pay praise and adoration to their exceptional leaders and the freedom fighters for their extreme determination and resolution. It's obvious that most of the government buildings and residents will be sparkling with fairy lights and tri-colours, brandishing from buildings to buildings. There will be broadcasting of contests and programs related to the day for its promotion. Usually, movies of Indian fighters are shown in television channels. As said by John F. Kennedy, "Ask not what your country can do for you, ask what you can do for your country," like any other nation, the most important thing that we must know and promise on this day is, how we, as a citizen can be patriotic to serve the nation from now onwards and to conserve it for the future generation.We must strive for the progress in terms of material happiness with mental happiness. And the important thing is to eradicate poverty, as "Poverty is the worst form of violence," as said by Gandhi. Indian and Bhutan has always been a boon companion since the signing of the Treaty of Friendship on August 8, 1949 with the golden rule of non-interference in each other's internal affairs. However, Bhutan agreed to let India guide in its foreign policy. Since, then India has been collaborating with us for the development and advancement in all most every fields. On this considerable day, we the citizens of Bhutan would love to wish India, 'Happy 68th Independence Day with prayers of happiness and peacefulness at all times. Besides, we hope for your constant support and unwavering cooperation. Our friendship will be cherished for eternity. Bhutan-India relations shows an epitome of friendship. Since the visit of the First Prime Minister of India, two countries enjoyed unwavering ties and it transcends party politics. Happy Independence Day to our good friend India.